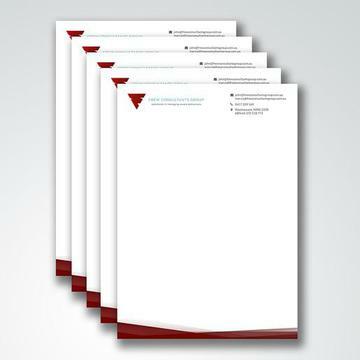 Full colour printed letterhead to lend that professional edge to your written communications. - Like a larger quantity? No problem, simply CONTACT US today and we'll be happy to help!